Valerie Tarico is traveling with her husband and two teenage daughters during the first half of 2010. Missives from the Southern Cross are her dispatches from the road. “Missionaries.” I say, reacting to the number four. He rolls his eyes. Not only have I (the perennial Eyore) just engaged in our classic marital counterpoint, I’ve dissed two points of his national pride: One, that some Canadians are cool enough to pull their kids out of school for the sheer joy of discovery, and the other that his countrymen are more immune to the appeal of wingy fundamentalisms than my fellow Americans are. Later, the uber-friendly Canadian father –stereotypical on this point—meanders over to chat with us about our plans and the experience of travelling with teens. During the conversation, he mentions three times – maybe four—that they are on a mission trip. I don’t say a word. I don’t even catch Brian’s eye. I so don’t have to. They are Seventh Day Adventists. They will be traveling onward to Malaysia, where they will join more missionaries and eventually sleep on the floors of tribal houses in an effort to promote their version of the Good News. The extended family is full of missionaries and cousins—though only on the father’s side. “What do they believe again?” Brian asks later. I can’t remember, because back when I was an Evangelical born-again, Adventists were considered too fringy to be on my radar except as “some of those people who think they are Christians but really aren’t.” I still have them in the same mental bucket as Christian Scientists and Jehovah’s Witnesses. I look them up on Wikipedia using the resort’s aesthetically non-traditional Wi-Fi. It turns out that my bucket isn’t completely arbitrary. The Adventists are spinoffs of the apocalyptic Millerite sect, a 19th Century American innovation at a time when America was birthing a variety of new Christianities that included Mormonism and Christian Science. We Americans love our innovations, and we love to export them, including our trademark ideologies – small cults like Scientology, big cults like Latter Day Saints, even bigger cults like our versions of Democracy and stuff-ism, and free market monetary policies and more. In fact, a worldwide marketing plan often is built right into the ideologies themselves. “World harvest.” “Two year mission.” “International franchise.” So it’s right on plan when locals, whether Canadian or Fijian, pick up one of our causes. The Canadian father seems almost disappointed that Fiji is so thoroughly missionized. (Ninety seven percent of ethnic Fijian’s say they are Christian according to a 2006 census.) An Adventist college sits above the highway half an hour from our little resort. All along that highway, established Catholic and Methodist churches appear to compete with newer charismatic and evangelical counterparts. Sunday Services, offer small storefronts. Jesus Saves! shout letters three meters tall on top of a warehouse church with bus service. One afternoon, when Brian and the girls and I go walking to a similar village, a wiry dark man dressed in shorts and flip flops with a slow warm smile greets us. In response to Brian’s friendly Canadian inquiry, he tells us about the national cricket match that the men have been watching in one of the few houses with television. Then he invites into his home for a traditional round of kava drinking. Kava is a mild narcotic, derived from the pulverized roots of a native plant. Water is poured through a cloth containing the powder and squeezed into a wooden ceremonial footed bowl around which people sit cross-legged. The host scoops the liquid with a coconut shell and passed to all present accompanied by a ritual of clapping. The drink itself looks and tastes like thin mud. Gathering a small handful of roots that had been drying on a shed roof, our host leads us to a partially completed building next to a church. Leaning against the foundation is a vase-shaped container made of cast iron and a pole, worn smooth by many hands. The roots go into the vase, and he begins pounding then, after a time, hands the stick to Brian. “When men hear the pounding, they say, ‘I hear someone calling me,’” he jokes. Sure enough, when we return to his home a small group gathers including a couple of wrinkled elders and a local teacher. (This village does have a school.) “Are there many Mormons where you live?” our host asks me at one point. He explains that his brother, who had gone to the mainland for work, has been converted by Mormon missionaries. His tone and expression are neutral – or at least unreadable to me as a foreigner– but I wonder what it must mean to him. He has told us that in addition to farming he is the village minister, a Methodist. On Beqa, I gain an appreciation of why Biblical literalism lies so often at the center of contemporary Christianity. A person who is slightly educated, say literate but with no access to books or higher learning, can easily be given a Bible. If that Bible is perceived as inerrant—rather than as a complicated collection of oral traditions and musings with a politicized history—in other words, if no theological or historical or linguistic training is needed to interpret it, the system works. Any literate believer with the right social skills or standing (like our host, who is also a kava and cassava farmer) can become a preacher. A Christianity that required a more complex, contextualized theology would be simply untenable in a place like these rural villages. I also gained a deeper appreciation for the way in which a religion like Christianity turns every convert into a member of the sales force. Were the missionaries that started the Assemblies of God and Missionary Fellowship churches on Beqa white? No, they were native Fijians from Suva. Fijians own their Christianity: we were cannibals; now we are Christians. Since the first European missionaries had their first successes, Fijian converts have been traveling to remote parts of the archipelago to convert members of their own clans and others. Early on, they risked their lives and sometimes lost them. During the colonial era, when one British missionary was killed and eaten by cannibals (at the nudging of a Christianized chief who he had slighted), the event made history not because the killing of missionaries was outside the norm but because the killing of white missionaries was. I admire, too, how seamlessly Christian atonement theology fits in with Fiji’s history of human sacrifice. The Fiji Museum in the capital city, Suva, houses a collection of artifacts that include the traditional tools of warriors and priests replete with implements for killing, cooking and eating enemies. These include an upright stone with a hollow at the top in which a captive can lay his head for the purpose of having it bashed in. There are elegantly carved forks for serving up bits of the same captive—after they’ve been nicely roasted. In a culture where humans once were thrown into post-holes to strengthen a chief’s dwelling or where the ultimate way of pleasing the Man at the top of the power pyramid was to present his enemy on a platter, a perfect human sacrifice makes perfect sense. And (in my value system at least) because in Christianity the sacrifice is symbolic and once-for-all, it’s a step in a better direction. All of my carping about Christianity aside, I’d rather be lost among Methodists than cannibals. Even apart from relegating the chopping blocks and fancy forks of cannibalism to museums and curio shops, credit should be given where credit is due. 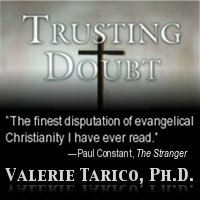 Christian missionaries do share ideas and values that, even outside their respective systems of belief, are widely thought of as good: education, health care, sanitation, a concern for the weakest members of society. In India, a few stops farther down the road on our travel itinerary, Christian missionaries do literacy work, rescue teenage girls from prostitution, and take in street children. Who can argue with that? And yet, the price is that local people are pushed – by economic and power disparities and the missionary’s kindness –into a narrative that revolves around human depravity, blood atonement, and supernaturalism. In both India and Africa today, some children pay with their lives because earnest villagers trust the Christian storyline that tells them all of us are caught in a supernatural war between the forces of the Christian God and the forces of a darker magic. Converts also are pushed into the economic values and systems of the West, often taking their place at the bottom of those systems where they provide extracted resources, labor, and a market for cheaply produced goods. One role of the Christian missionary is to foster spiritual and economic dissatisfaction. Differences in technology, differences in prosperity – these have long been the bait used by fishers of men. What is the missionary’s calling card without them? Linguist Daniel Everett spent a decade as an evangelical missionary before losing his Christian beliefs. Having lost his ulterior missionizing motive, he approaches other cultures now as an academic linguist rather than a change agent. But once he took formal training in how to win converts among tribal people. In his book, Don’t Sleep, There are Snakes, he quotes his evangelism professor as saying “You’ve got to get ‘em lost before you can get ‘em saved.” (p. 266) Happy, satisfied people are hard to convert. Fortunately for modern missionaries, Coca Cola, Unilever and Hollywood are willing to do some of the heavy lifting when it comes to cultivating dissatisfaction. All of which is to say not that Christian missions are an unmitigated bad – but does say that they are not an unmitigated good like so many of the Sunday offering plate and automatic-deduction tithing sponsors believe. At worst they are a part of a system of cultural and economic dominance structures that maintain white people at the top. At best they are a complicated form of altruism with mixed results. Come back to our Canadian Adventist. What I often find most peculiar about the missionary’s position is that this mixed bag isn’t embarrassing to kind friendly people like him. During our conversation at Uprising I find myself marveling at the odd lack of awareness of how-what-I’m-doing-might-look-to-you. From the outside, the missionary’s stance is startlingly presumptuous. The missionary says to his target: Not knowing you, I know that I want to change you. I don’t know what you know, but I know that I know more than you. I don’t know your culture, but I do know that mine is better. I haven’t experienced your spiritual center, but I can assure you that mine is based in the One True Religion. The hubris of the missionary’s position, either as part and parcel of the European colonial system or as part and parcel of the American Century, is inescapable, once you notice it. Manifest Destiny, Noblesse Oblige, The White Man’s Burden. These are not terms that roll off the average Canadian tongue with pride. And yet the easy-going missionary puts them on display with no apology as if they were shared values, shared assumptions about what it means to be Western. Even weirder is the lack of normal ethical accountability that governs other spheres of Canadian or American life. In business situations, scrupulous people feel obliged to research the claims they make for the goods they sell. They are particularly careful if the person they are selling to is vulnerable in some way. If I use my power position as a health care provider to convince a client that they need a medication or hospitalization or other form of treatment, I feel profoundly obliged to make sure that I’ve done my research. Missionaries often are highly scrupulous in most dimensions of life, and yet the peculiar certitudes of faith mean that they feel no such obligation when it comes to selling belief. They needn’t have researched the history of their own faith, they needn’t have explored other religions; in many denominations they need little if any theological training And yet, even without having done this homework they seek out crisis and miseria, wretched poverty–leveraging power differentials so great as to be almost coercive—because desperation is fertile ground for conversion. Normal medical or business or policy ethics simply don’t apply. We leave Fiji for Australia, where we will spend the following two weeks in Sydney and north along the east coast. In Australia the evidence of missionaries, particularly North American varieties, is sparse. I do notice “Jews for Jesus” on a storefront in Sidney. And the Salvation Army building proudly proclaims its salvation message. A World Harvest sign catches my eye. A Dianetics poster offers relief from depression. But comparatively speaking, the sightings are few and far between. Australians seem pretty darn prosperous – not rich, mind you, but not necessarily looking to get rich either. And for the Mormon or Adventist or Evangelical missionary, some of those Aussie beaches or the natural wonders of the barrier reef may be discouragingly close to heaven on Earth. Or perhaps difference has less to do with material satisfactions and more to do with knowledge. Public education in Australia is good, embarrassingly so by American standards. Our Australian friend Craig followed his American love, Ann, to the States when he was a young engineer, but he made a condition: they would return to Australia when their kids were in school. They have recently made the transition, and on our way up the coast, we stop in to see their new home in Evan’s Head and hit Craig up for a couple of surfing lessons. We ask them about the differences. Among other things, Craig and Ann’s kids actually study the Bible in school—in a context where they are free to argue about it. Less educated people have fewer defenses against a new supernatural narrative. Back on Beqa one of the hotel staff, a Christian, told us the local legend of how in ancient times, a magical talking eel gave one village the power to walk on fire. (Young men from that village, in traditional garb were about to demonstrate fire-walking.) When asked what he really thought made the fire-walking possible, our guide shrugged and with apparent sincerity repeated the eel story. Maybe the leap from a talking eel to a talking snake is—relatively speaking– a small one. Gallery | This entry was posted in Musings & Rants: Christianity. Bookmark the permalink. I’d also like to repost part of this for my readers on mycultlife.com with your permission. You may email me at mycultlife at gmail dot com.